Incorporated in 1887, Fidelity Trust had the first of many mergers, in 1927, when it merged with the Union National Bank and became the Fidelity Union Trust Company. Five mergers later it has morphed into Wells Fargo a San Francisco based financial institution. 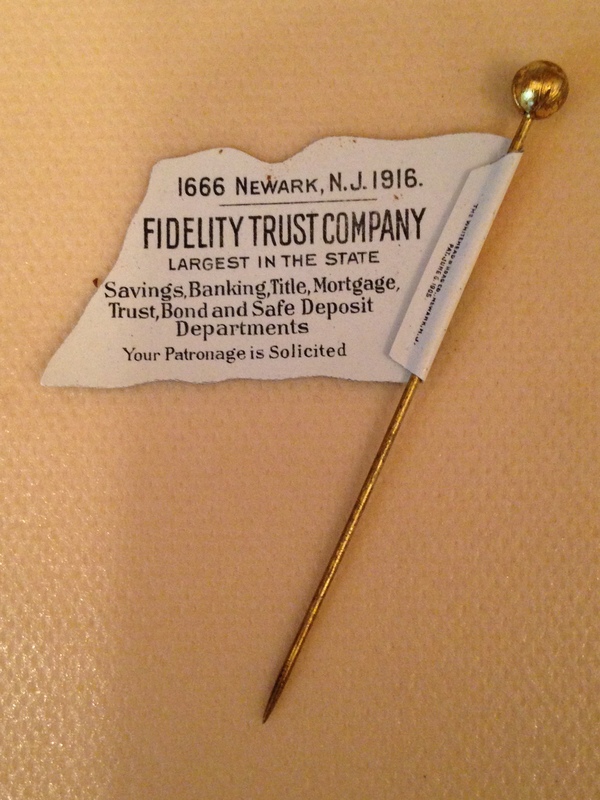 The stick-pin was given away by Fidelity Trust Company to celebrate the 250th anniversary of the founding of Newark and to advertise their institution and the services it provided. 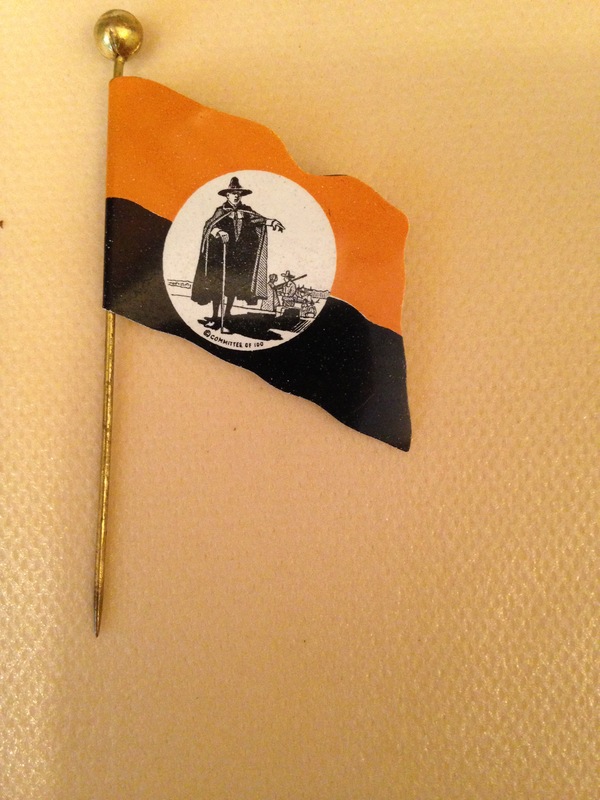 The stick-pin was manufactured by the famous novelty company Whitehead and Hoag, which was located of the corner of Sussex Avenue and First Street. The company was referenced in my Made in Newark blog. I will be doing a separate piece on them soon.